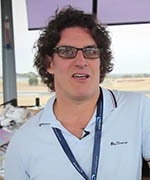 I gained my initial Air Traffic Licence in November 2009 and work in the Enroute environment based at Melbourne Airport. My airspace extends from Dubbo NSW, west to Alice Springs, across the Nullarbor and the Great Australian Bight. I am an on-the-job training instructor and enjoy instructing air traffic controllers in both the simulated and live training environments. I also have had the opportunity to undertake a secondment as an instructor at Airservices’ Initial Training School. Working with air traffic trainees in our simulators was an extremely rewarding experience. Check out Bridget’s profile on YouTube. What I love about my job is that it is different every day. My mum pointed an advertisement out to me in the paper and said this looks like it could be for you. I was lucky enough to get through the recruitment and be selected for a course. I’ve worked at four different control towers over the years. I would highly recommend air traffic control as a career and feel like you’ve made a difference to the aviation community. Check out Craig’s profile on YouTube. I’m a tower controller so I manage the aircraft at the aerodrome and those within the direct vicinity. 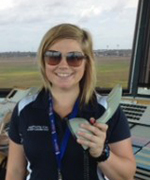 I started with Airservices in 2011 and after my initial training was posted to Mackay. Working within a regional control tower is very fast paced and challenging. Teamwork is essential to ensure the safety of our customers is maintained as well as the most efficient service level possible. The most common question I’m asked when I tell people that I’m an air traffic controller is ‘isn’t that job very stressful?’ Realistically, like any job in the world it has its moments. We can be faced with an emergency at any time, and every member of the travelling public has dealt with delays due to bad weather which causes headaches for air traffic control all over the country. But, overall, when the right person is in the hot seat, it is the most satisfying job you can find. The training is tough but is worth every second of the hard work. My interest in becoming a controller developed when I was quite young as a result of my father being employed within the aviation industry. After I finished high school, I enrolled in a Commercial Pilots Licence course and, after completion, undertook an applied science degree in aviation. As my degree neared completion, I discovered an advertisement for the Airservices Australia graduate program and thought it would be a great opportunity to use my skills, knowledge and passion for aviation. It was during the graduate program I developed an interest air traffic control and applied to start training at the Learning Academy. 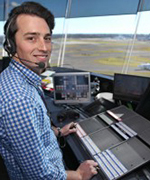 I began 12 months of training and then I moved to Sydney and started work as a tower controller. Working in Sydney Tower involves working a 24/7 roster alongside a team of 42 controllers, managing over 1000 movements a day in a fast-paced and dynamic environment. Every shift is different and can involve anything from managing inclement weather to VIP arrivals; no two hours are the same let alone two days! Since starting with Airservices as a trainee air traffic controller back in 1996, I have had an immensely interesting and rewarding career. Before becoming a Training Instructor, I worked as an Enroute controller, guiding aircraft flying at high altitude in the vast Australian airspace. Every day was a challenge due to changing airline schedules, adverse weather and unusual operations or emergencies. The varying nature of air traffic control is what makes it one of the world’s best jobs. I have worked with some amazingly talented people over the years, and their careers, like mine, have led in many diverse and exciting directions both here and overseas. 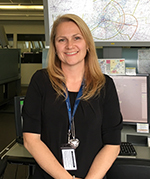 As a Training Instructor at one of Australia’s busiest airports, I teach and coach air traffic control trainees through an intensive traineeship that includes theory, as well as the practical application of skills learnt in a simulated environment. 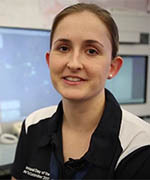 Training students is both challenging and rewarding, and I feel privileged to be playing a part in training Australia’s future air traffic controllers while, at the same time, also playing a large part in the safety of aviation. I take great pleasure in watching trainees’ skill and confidence grow as they develop the ability to handle ever increasing workload and complexity. I also feel incredible responsibility in ensuring that our trainees successfully transition into highly trained professionals who are essential to the smooth and safe running of the Australian Aviation Industry.